In Papua New Guinean culture, history is passed down from one generation to another through oral communication. However, as time goes on, oral history seems to be lost and forgotten. Nevertheless, to prevent such loss, history has to be documented in written form and one such work is a new publication titled; Mugang MugarewecBitenggere – A Pioneer Missionary to the Highlands of New Guinea,” which is now out on the market. The book is about the life story of an indigenous Lutheran missionary from Finschhafen in Morobe province that served in the highlands of the country from the 1930sto the 1980s and was based in Jiwaka. 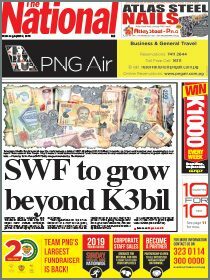 The publication covers stories during PNG’s colonial era, the time when PNG was first exposed to the outside world. The introduction of colonial government and missions had brought manychanges to ordinary Papua New Guineans who had once been separated by the diverse cultures and the 800-plus languages. The book also mentions the event of the Second World War which was fought on PNG soil between the years 1942-5 which on the other hand had triggering effects on simple Papua New Guineans who had just been exposed to the outside world. Besides, as the book narrates through series of events, names of many people and places in PNG are mentioned. Names of prominent businessmen and politicians in the country like KaipelDireye, Jamie Maxtone Graham, Chief Philip Kapal and even the nation’s current Prime Minister Peter O’Neill and others who all had special connections to missions are stated in this very interesting and fascinating book. Hence, the book is a first of its kind to be produced in the country with many copies sold out already in PNG. The book is also making its way to overseas markets. 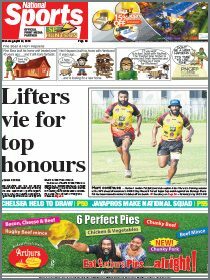 This is proudlya part of PNG’s own history authored by a Papua New Guinean! Thank you and God bless. Kawei! Gabby Mugang is the granddaughter of pioneer Lutheran missionary Mugang Mugarewec Bitenggere.